These offices are housed on the 7th and 8th floor of a new office building on one of Marseilles' most beautiful avenues, between Place Castellane and Rond-Point du Prado. The centre has a number of bright and modern offices and a superb range of facilities including: an impressive terrace, lobby, cafeteria, meeting rooms and a business lounge; clients are also able to make use of the various support services offered by the centre. Located in an ideal position for easy access to the old port, this centre enjoys a prominent position in a famous tree-lined avenue. Offering a range of offices across 10 floors, this centre also provides a range of business support services, such as 24 hour access, administrative support, and IT support. These turnkey offices also come with reception services that will greet your guests with the utmost professionalism and courtesy. An impressive centre, featured in a modern building in central Marseille. Offices are furnished and available on flexible terms. Amenities here include spacious meeting rooms, high-speed internet and a dedicated reception area. A professional cleaning & maintenance service is also present to ensure the daily upkeep of the building is cared for. Situated in a vibrant area of Marseille, this centre is accessible through all transport links nearby, as well as being a short 30-minute drive from the Airport. Local amenities surround the centre as well, including local restaurants, bars and retail outlets. 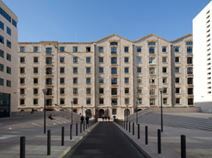 This business centre allows its clients access to one of the most sought-after settings in Marseille. A futuristic glass building on one of the city's grandest streets, this centre boasts high quality furnished office suites, its own garden a rooftop terrace with excellent views. 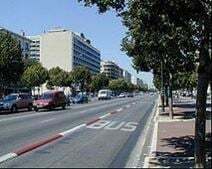 It has a wonderful seafront location in an exclusive business district with good connections by road and rail. Conveniently, the site is accessible 24/7, so you are able to work through late hours or contact international clients across different time zones. Flexible, stylishly furnished offices are available to let with use of conference rooms in a centre which is ideal for smaller companies and individuals. At this centre, not only will you be provided with quality services, you can benefit from the location's abundance of amenities. This is a prominent address, a stone's throw from the nearest metro station and some attractive green spaces. There is a shopping centre nearby, as well as lots of restaurants, cafes, bakeries and grocery stores. Boasting modern and stylish office solutions in the heart of Marseille, this business centre provides innovative work stations which benefit from great in-house services and local amenities. With it being located in the Saint Charles train station, the centre is easily accessed using public transport options - trains and buses pass through the area frequently. There is also public parking options available within walking distance. 24 hour access allows you to work at your own pace and high speed internet will keep you connected at all times. This original and atmospheric centre is housed on the 5th floor of a converted former dock building and features an in-house restaurant and wonderful views over the Mediterranean. A large conference centre is also available on-site and the building regularly hosts art exhibitions. The property has a pleasant port side location which is good for metro and rail travel and close to motorway junctions and the airport. The business centre is located in the heart of Marseille offering many day-to-day amenities that can be found within walking distance. Here, you're supported by a friendly, approachable administration team. This team can assist you with any queries you may have including; telephone answering, mail handling and greeting your clients. Commuting to and from the from the office is quick and easy with the closest Metro station being Joliette is a short two-minute walk away from the office. Buses and trams also run through the area frequently. A veritable urban landmark with a shimmering gold facade designed by Massimiliano Fuksas, the building was built in 2016 and holds HQE and BBC-Effinergie certification. It combines environmental quality and comfort to enhance your performance on a daily basis. Located near the Docks and across from the Silo, the centre gives your business a prime location in Euromed Center, Marseille’s thriving new business district. Located in the heart of the Euromediterranée business district this beautiful Haussmannian building is ideally served by public transport very close by and offers a mix of equipped offices, meeting rooms and coworking spaces. There is administrative support as well as IT support provided for your convenience. The iconic statue équestre de Louis XIV is just around the corner from the centre, as well as a cinema and a museum. A short walk from the Viuex-Port metro in the economic heart of Marseille this 370m² co-working space is dedicated to entrepreneurship and is composed of a mix of open and private workstations, meeting and training rooms. The centre is accessible 24 hours a day, allowing you to determine your own time table. This space is particularly ideal for those with international contacts across different time zones. Sunny spacious offices with use of a lounge area, in-house restaurant and car parking. The centre offers reception and messaging services alongside 24 hour access. Located to the south of central Marseille, the centre is close to the coast, with good motorway links. At this centre, your company can benefit from great connectivity, with high-speed internet, meeting room facilities and telephone answering. There are also events venues close by where you can deliver impressive presentations and organise conferences.